The Brady Farm is a project of the Brady Faith Center. The farm’s mission is to provide affordable access to fresh, locally grown food, youth and adult education, employment, and environmental and economic sustainability. We use organic methods to ensure that our urban neighbors enjoy the healthiest food possible, while preserving the integrity of the land we farm. The six acre property includes 4 acres for production and 2 acres of woods, and is adjacent to Onondaga Creek in the Southside of Syracuse. 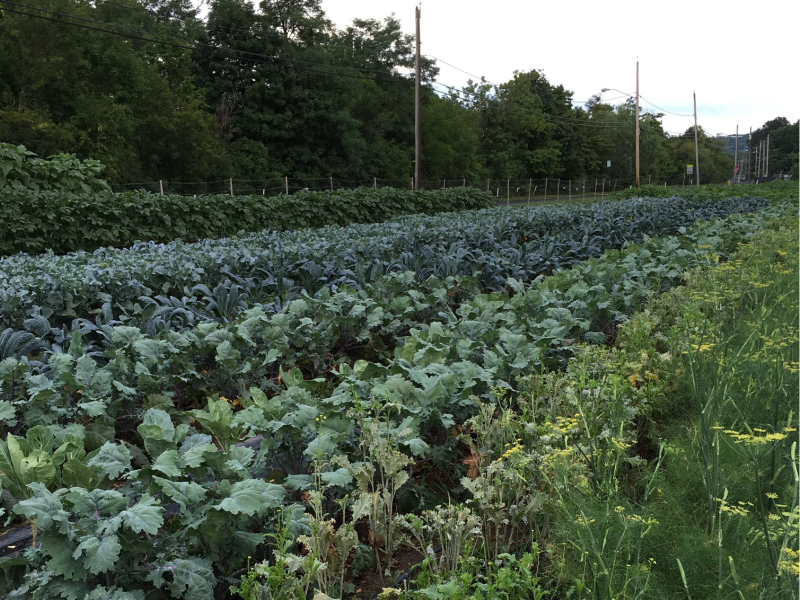 A CSA will be offered in 2017, in cooperation with local farms throughout Central New York. For more information visit our Facebook page. Please contact garden coordinator Jessi Lyons (315-420-4521) to find out more about getting involved at this garden.